Appearance: A very strong and dense colour is immediately evident upon pouring. Strong purples and rich reds are indicative of this wines inherent quality. Aromas: The first impact is of rich and dark berries; strongly cassis in character; background aromas of soft vanillin and also showing a slight char courtesy of the specially selected French Oak. 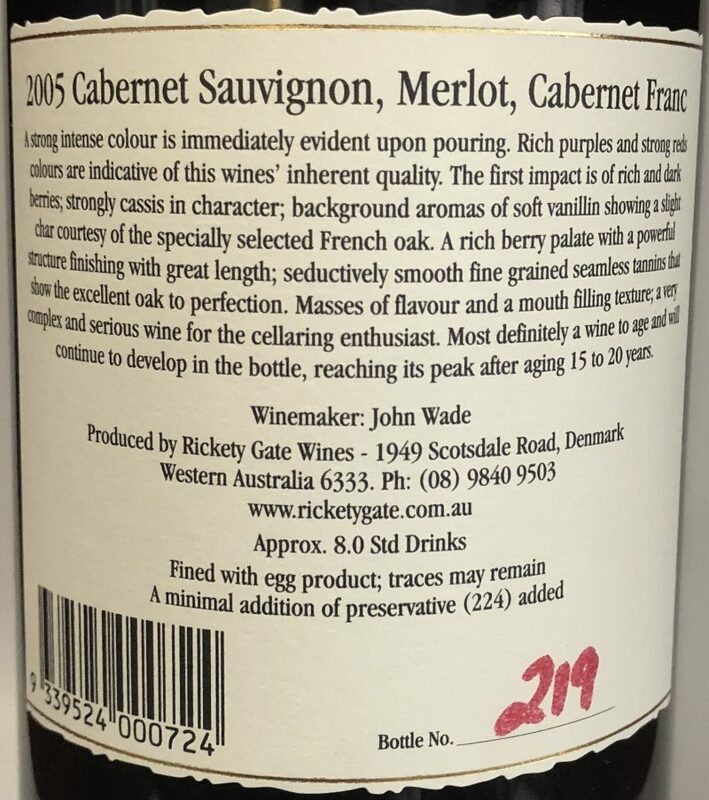 Palate: A rich berry fruit palate with a powerful structure finishing with great length; seductively smooth fine grained seamless tannins that show the excellent oak to perfection. Loads of flavour and mouth filling texture; very complex and a serious wine for the cellaring enthusiast. Most definitely a wine you will need to age and will be around 10-15 years old before it reaches its peak. A strong intense colour is immediately evident upon pouring. Rich purples and strong reds colours are indicative of this wines’ inherent quality. The first impact is of rich and dark berries; strongly cassis in character; background aromas of soft vanillin showing a slight char courtesy of the specially selected French oak. 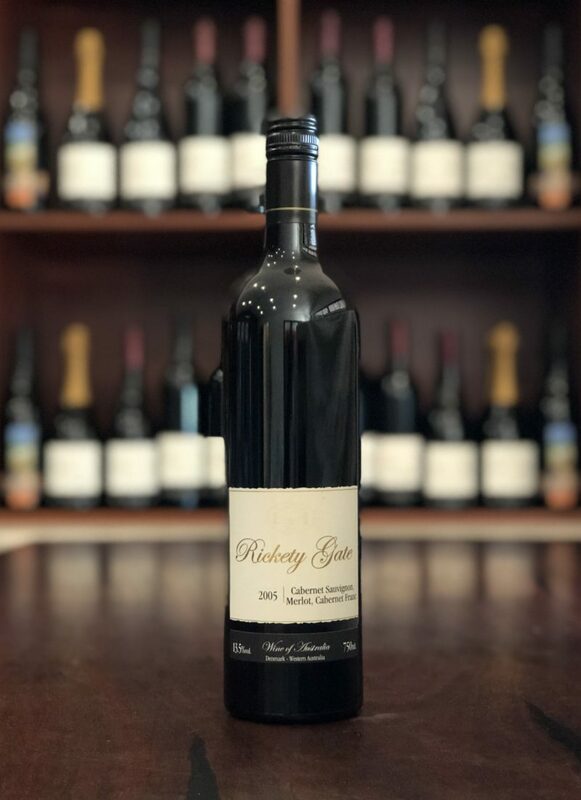 A rich berry palate with a powerful structure finishing with great length; seductively smooth fine grained seamless tannins that show the excellent oak to perfection. Masses of flavour and a mouth filling texture; a very complex and serious wine for the cellaring enthusiast. Most definitely a wine to age and will continue to develop in the bottle, reaching its peak after ageing 15 to 20 years.